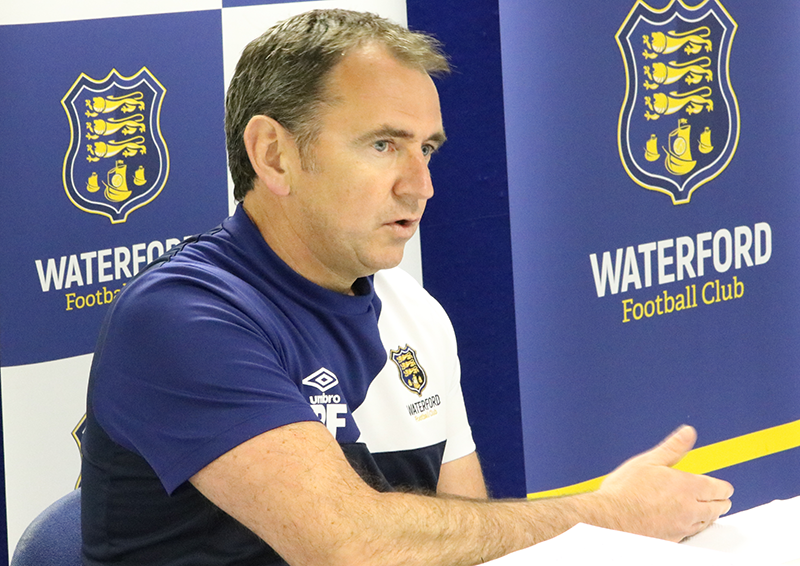 Waterford FC Director of Football Pat Fenlon outlined to the media at a press briefing on Tuesday evening last some of the behind the scenes work that the club are currently working on in relation to building a sustainable future within the local community. Speaking to WaterfordFC.ie Fenlon said, “We’re delighted to announce a two-year deal with the Department of Sport, Exercise and Science of WIT where they have giving us a great deal in relation to access to strength and conditioning to all our teams in the club from our Under 15’s right the way through to the First Team. “It’s brilliant and it also gives us access to fitness testing which will be starting in the middle of the season through Professor John Wells and it gives us a great link with WIT. It’s something that we as a club are really looking forward to getting to work with. Fenlon also revealed that the club are actively looking for a Football Community Officer and that the club are keen to get working in the community and hope to set up a Junior Blues Academy. “The appointment of a Football Community Officer is something that we’re looking at as we speak. I’ve spoken to one or two people in the area in relation to it. There is a lot of stuff going on outside the professional side of things and not just what happens on a Friday night so that will allow us to offer something back into the local community. “We want to be able to offer our facilities and training to younger players and we’re looking to set up a Junior Blues Academy. It’s important for the club that we can bring something to the table for younger players in the area. 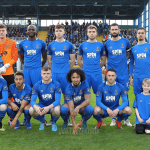 The Director of Football was also keen to point out the importance of sponsorship and the support of the Waterford public in bringing the club forward. 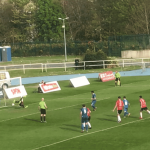 “We’ve got a budget here at Waterford and we need to stick rigidly to that. We’re trying to get a team on the pitch that is challenging for promotion. There are some good teams in the league and as people can see it’s fairly tight and competitive at the top. “We have a budget and we have a structure. We obviously want to try get promoted and that’s the aim but in doing so we need the public to support us. The crowds have been fantastic and we don’t want that to drop off. We want that to really push on. “It’s important that we get as many people in here on a Friday night to support the team because at the end of the day, the team is the city and county. People should be part of it. We want the people of Waterford and the club to embrace each other.